Texas hold ‘em is a type of poker in which two cards are dealt to each player (face down), and then five cards called ‘community card’ are dealt face-up in front of the dealer. The first three cards are called ‘the flop’, the fourth card ‘the turn’, and the fifth and final card, ‘the river’. 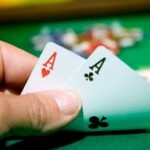 Players have to choose whether they will bet, check, raise or fold after every deal of the cards. 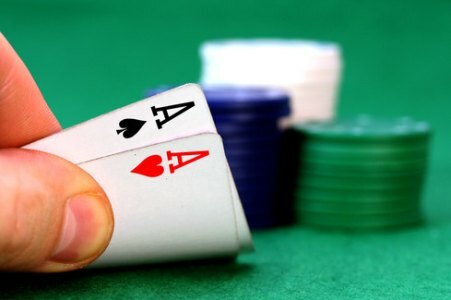 There are variations on the game that specify whether or not betting occurs before or after the dealing of ‘the flop’, ‘the turn’, or ‘the river’ cards. Poker playing aficionados almost also advise Texas hold ‘em players to maintain a tight, yet aggressive style. 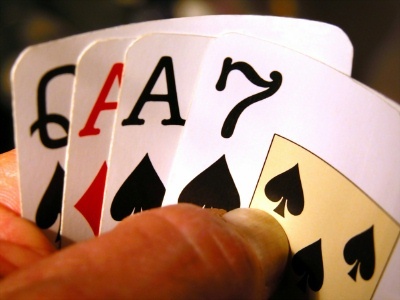 This means that player doesn’t play as many hands, but when they do play a hand they bet and raise bets aggressively. Another commonly held belief is that where a person chooses to sit makes an enormous difference, especially when playing Texas hold ‘em with no limits. 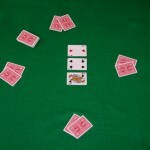 As game play progresses, the player furthest from the dealer has more information on which to make his or her decision, thereby increasing their position. Mathematicians and statisticians have worked to create a quantitative model of the dynamics of Texas hold ‘em in order to optimize potential strategies with a certain amount of success. Poker playing software is one way to practice theories of game play strategy using artificial intelligence. It is vital to remember that Texas hold ‘em is not a game of luck and therefore requires intelligence and quick thinking. As with many poker games, Texas hold ‘em strategies works best if you are not only bright, but can evaluate other players and bluff effectively. Even in online Texas hold ‘em games a person can evaluate the competition by watching how they check or rise. Use of auto checked boxes is a sign that your opponent is not very professional, for instance. After only a couple of rounds you should be able to pick up on subtle clues to your opponent’s level of experience as well as behaviors such as long delays. Keep in mind that if you are a beginner you should stick with low-limit games of Texas hold ‘em until you feel more confident in your abilities. As you gain experience, look for tables to play where you see loose play and less or equal skill to your own as you grow in your ability to outwit opponents. Texas hold ‘em is a version of poker that requires a serious mindset as well as discipline and a certain amount of self-control, so if you want to be successful, devote enough time to practice your favorite strategies. Before you start to play for real money – why not give free online casino games a chance? You can enjoy playing free casino games all day long without losing a penny of your own money. The best part is that there is so many different kind of games, such as table games, slots games, video poker games that you will never get bored. Why is the Poker Bonus Important in Online Poker? There is one thing that a lot of people are not aware of when thinking about online poker. Most will believe that only the results that appear online are going to be won and lost amounts. The truth is not actually like that. In fact, there are many other things that we need to take into account. All the amounts that are won by online players in tournaments and cash games are going to be made public. However, what is not made public is the amount that is won from poker bonuses. In some occasions we are talking about even more money than the player makes from poker. Any person that has experience in playing poker online will understand how much the bonuses can sum up to. Even if you are losing money in one day, you will accumulate some sort of points that can then be exchanged for merchandise or even money. While most people will try to get money, others will actually save the points and then buy a car. There are some poker rooms that will offer a car when a certain number of playing points are reached. The poker bonus is really important due to many different things that need to be taken into account. For starters, you basically receive more money while playing. This means that if you lose money one day, you might have actually not lost anything due to these bonuses. In addition, when you win money, you would have won even more thanks to the bonuses. 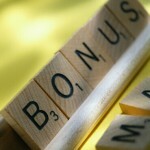 There are many different types of poker bonuses that you can get. Make sure that you look at the promotions page of the poker room website that you are playing at so that you can see all of them. In most cases there will be a sign up bonus that will be very generous. There are different items that can be purchased with player points and extra bonuses that are achieved when you reach certain poker playing levels. Look at the tournament special offers and if you are playing at one of the poker rooms that offer a bad beat jackpot, you might want to also take a look at that. Most of the big poker rooms are offering special bonuses on a monthly basis so make sure that you check often and that you never neglect this possibility. It might mean the difference between a good poker career and a medium one. We’re big fans of power poker, and if you’re thinking about going deeper with your poker game, there are a few reasons why you really do need to be a fan of power poker as well. It’s a chance to really make sure that you really handle the psychological side of poker. Yes, it’s tempting to think that all you have to do is just be passive long enough to avoid problems, but that just wouldn’t make sense at all. It’s better to really step up your game and make sure that you have the basics covered. That’s the real way to get ahead, when you really think about it. Everything else is just going to end up slowing you down, so why even bother going through it? Passive players don’t really last long in poker because they end up being easy targets for aggressive players. We’re not saying that you automatically have to get aggressive, but it definitely helps. The more you can push players around without having them retaliate, the stronger your poker game is going to be. Yet getting the nerve to actually raise and then re-raise can be hard. You have to realize that if you don’t push in every now and then, you’re going to get bullied. They have to see you as someone that can truly make strong decisions and even go with their gut when the job warrants it. Sure, you’re going to want to back down from time to time. We’re not saying that you should push in to every hand when it’s clearly obvious that you’re drawing dead. When you know that you can’t make lemons out of lemonade, you need to fold and wait for another hand to strike. Studying the image of your other players at the table is really the mark of an aggressive player. You want to study when they fold and when they play and what they feel comfortable playing. Everyone has a comfort zone in poker, so you’re going to want to make sure that you really think about the bigger picture over time. Make sure that you practice your strategy in cheap or free rooms in order to nail it down. It’s easy to think that you’re ready for higher stakes when that might not be where you need to go. By focusing on the larger picture as well as your poker goals, it’s impossible for you to get thrown off course. As always, don’t think that you have to do everything on your own. You might come to a point where you want to get outside help, and there’s nothing wrong with that. You just need to ensure that you push forward, take risks, and make sure that you don’t go overboard. Can you really handle being an aggressive poker player? There’s really only one way to find out — why not start today? When it’s time to think about going beyond Texas Hold’Em in your poker online play, you might wonder why you would even bother. After all, it’s pretty safe to say that Hold’Em is definitely going to be around for a long time, which means that there are plenty of players to go toe to toe with and try to take their chips — and the money that it represents. 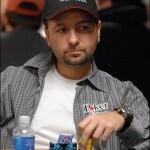 However, the argument can be made because a good poker player needs to keep their skills sharp no matter where they go. You don’t want to end up missing out on the power to change your poker game, do you? Yes, that’s right — by playing different variations of poker, you will be changing the way you see the game. That can help you identify weaknesses that you didn’t even know were there, which means that you will ultimately be able to handle higher skilled players better than you might have otherwise. It’s even arguable that playing other games like bingo will further enhance certain skills that can help you at poker. Bingo is a highly social game that may help you with your poker bluff! If you’re thinking on the right track, then you know that you have to branch out eventually. Even though it might not seem like it, there really is life outside of Texas Hold’Em, and you need to just make sure that you reach out and grab hold of it. 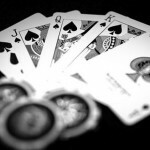 Below is a list of games that will take you beyond Texas Hold’Em. Don’t worry — the rules aren’t going to be so crazy that you won’t be able to catch on fast. What makes 7-card stud so interesting is that it can be played with numerous players. Like Hold’Em, the more players that are in the game, the more challenging it’s going to be. The goal here is that you use 7 cards instead of just two cards to make the best hand possible. It’s played in limit fashion, so if you’re looking for no limit action, you’ll have to look elsewhere. Okay. So you have been playing poker for decades. Your gambling skills and strategies rival that of the pros, which is why you want the chance to become one of them. Professional poker players know that their hand does not dictated their prowess at the table. The poker greats realize that a wide array of factors come into play, such as knowing when to bet, bluff, fold and how to act at the table. It isn’t about the amount of games you play. It’s about the money you earn. You never know. One day you could be one of the “golden” players at the World Series of Poker. Every poker player who tours professionally started at the very bottom. 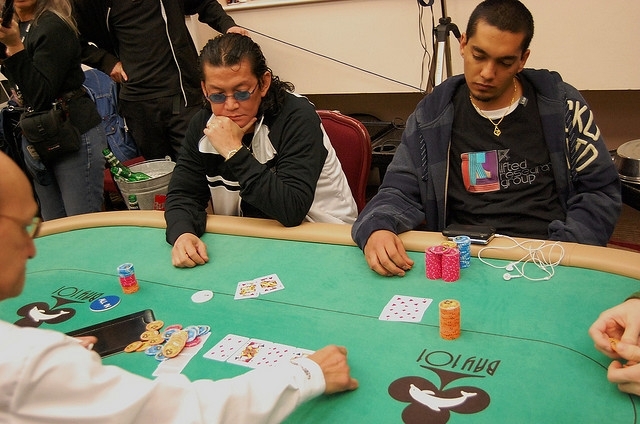 Through years of practice, these players have honed their poker skills. They have spent countless hours studying strategy books, gathering tips and practicing what they have learned. Only then did the pros start playing for real cash. So after you start making more fake money than you lose, you can begin investing real money into poker games. This is how you build your bankroll and subsequently, start your poker career. Professional poker players treat the game as a business. Therefore, you must get a tight grip on your finances. The pros recommend keeping one bank account for poker and another account for living expenses. If you are not skilled at managing your money, it is wise to take a few accounting and personal finance classes. Due to the worldwide popularity of the Internet and poker, online poker playing is a great way to train. Find websites that offer free training courses taught by real professionals. These classes will teach you the skills that take amateur players to the professional level, and the mistakes that keep amateurs, well, amateurs. If you are shaky on math and statistics, you can take college-level courses online. After you learn this information, your betting skills will improve dramatically. Once you have gained a full understanding of the game and built your bankroll, you are ready to go out into the world and compete against the pros of the poker industry. When you win your first poker tournament, give yourself a congratulatory pat – you are now a professional. If you want to maximize your per-hour earnings, compete against less skilled players. And occasionally, take a chance on high-stakes, huge-payout games. It’s a situation that poker players really hate to find themselves in — drawing dead. If there’s nothing else in the world that poker players hate, it’s the feeling of jumping into a hand because you’ve got strong cards and finding that the flop really can’t bring you into the hand. We call that drawing dead, but the good news is that you don’t have to feel like it’s impossible to still come out victorious in the end. You see, a lot of players get sad and then they want to throw in the towel. However, that’s emotion talking. We already know that emotion is really the enemy of good poker everywhere. You will want to make sure that you focus on the details of the hand that you’re currently in. What are the other players doing? Chances are good that if you’re surrounded by limpers, they don’t have anything good either. You can then get risky if you want by actually pushing forward and looking for a good turn and river card. However, keep in mind that if anything good does help you, it could potentially help someone else too. That means that you really have to make absolutely sure that any decision you make is going to be one that’s actually proper for you to make. Sometimes it’s not worth taking the risk, and that means folding your hand. We’re not saying that you have to give up, but you do need to make sure that all of your actions fit your poker plan. When you’re drawing dead, you’re frustrated and you want things to get better. That doesn’t mean that you give into emotions. You can acknowledge emotions — in fact, you really have to. However, now is definitely the time to make sure that you focus more on the overall game at hand — good luck out there! If there’s one concept that poker players need to know about, it’s definitely going to be hand potential. Think about it — one of the biggest reasons that you might have busted out of a tournament is that you thought you had a better hand than what you really did. That means that you’re going to really need to think about the type of hands that you want to play, and what you want to accomplish with that. So let’s start with the pre-flop, shall we? You’re going to need to always look at the strength of your hand as it is right now. Sure, you might be tempted to play that 75o because you could connect to a great straight draw, but the truth is that the odds really aren’t in your favor. You should look at not only the hand that you have, but how everyone else is betting. Before the flop comes down, someone going in with a strong bet means that they probably have a pocket pair of some kind and probably at least TT or better. Some people will bet hard with 44 or 55, hoping for triplets as the flop comes down. It’s up to you to decide how things are going to go, because if you don’t plan ahead, you won’t stay in the hand very long. A common newbie mistake is not folding when it’s a great time to fold. You’re going to need to fold more than you play at times, and this can make you feel weak and embarrassed. There’s nothing to feel embarrassed about. It’s just the game of poker. You’re going to have to play the game in order to move forward. You’re going to have to love the game. The game is what it needs to be — focus on playing your best hands and folding the crap. Yes, you might feel like other people get to play crap and you don’t. However, everyone comes into poker with different intentions. Your intentions might be that you really want to do big things in the world of poker, but you might find that you have a lot of learning to do before you can pull that off. It’s tempting to get discouraged, but remember — everyone started out right in your shoes. The poker greats that we talk about a lot all started where you’re at, and there’s nothing to feel bad about. It’s just a matter of knowing where you stand and where you really want to go from there. Thinking about all of your options is always a good thing — why not get started today? Is Your Poker Hand Strong, or Are You Just Kidding Yourself? Strength. It’s a quality that we would all like to have, but when you sit down and think about playing poker, you will definitely need to make sure that you have plenty of strength behind you. However, we’re not talking about the type of strength that you would use on the beach to impress the ladies — that’s an interesting type of strength, but it’s really not the type of strength that we really want to deal with. Instead, we actually want to make sure that we have the type of strength that’s really going to make sure that we get things done. It’s better to focus on the logic and mathematical side of poker, because these are the variables that you can control to an extent. As much as poker writers would like to disagree, you can’t influence the emotional side of the people that you’re playing against. If they really want to step to you, they will and there’s really nothing that you can do about it. On the other hand, if you think back to doing what you can with the tools given to you, you can increase your chances of really beating them. So let’s go back to the fundamentals again and approach the topic of starting hand strength. When you get your hole cards, you’ll need to immediately decide whether or not the hand should still stand. You know the saying “only the strong” survive? Well, it’s the same way in poker. You really need to make sure that you are starting with the best hand possible. There are a few things that influence this greatly. The first thing is the number of players that you’re up against. If you’re trying to go against a full board of people, you’re going to have to realize that your odds are going to be less than if you were going against a smaller number. This means that you’ll have to modify your playing style as the field widens and narrows, respectively. “Premium” Hands — Yes, You Love Them, and They Love You! What’s a premium hand in poker? If there was one question that newcomers seem to want to know, it would definitely have to be that. Generally speaking, a premium hand is going to be something like AA or KK, QQ, AK, AJ, AQ. In other words, it’s going to be royalty-level at the very least. J10 is on the cusp of being premium. Some poker players include the 10 as being part of the premium section of the card deck, but it’s going to be more or less up to you were you draw that line. So let’s say that you’re thinking about what to do with the J7o (Jack, Seven, off-suited) you got dealt. A lot of players will want to automatically throw chips into the pot and see what the J7 will do for them in play. However, this isn’t really what you want to do at all. Instead of worrying about something like that, you will instead want to think carefully about your next move — which is to fold. Now, a lot of newbies think that staying in the ring, even just to see the flop, is a “good play”. Maybe in the short term. However, if you stepped back and added up all of the chips that you’ve thrown in just to see what the pot looks like, chances are very good that you will end up not coming out ahead in the end. It’s something that can silently chip away at and destroy your chances of really playing poker the way it was truly meant to be played. That’s a shame, and you really want to try to avoid this possibility if you utterly can. Another thing that you need to also calculate in when you’re thinking about the best starting hands is whether or not you have suited cards or unsuited cards. While it doesn’t add a super large difference to your winning percentage odds, the truth is that it does still make a difference. Throwing away A7o (off-suited) is a bit different than throwing away A7s, and you should make sure that you actually understand the difference before just folding. Just as you don’t want to rush into raising/calling, you don’t really want to fold too quickly. Overall, understanding whether or not you’re going to make a play based on hand strength is definitely important, so don’t delay — get out there! 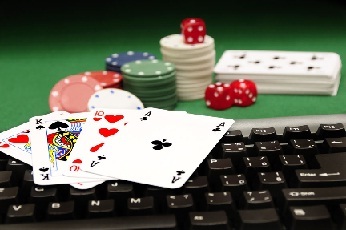 Poker is played more than ever nowadays and it’s all down to the internet on sites such as Golden Palace Casino Online. Offering gamblers the ability to play the beautiful sport against players on the other side of the world while in the comfort of our own homes, online poker has become an irresistible sensation. 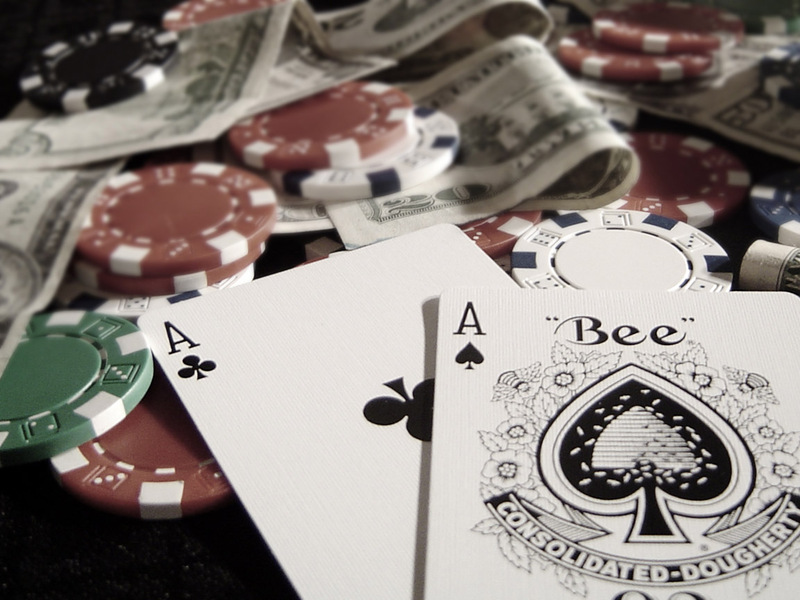 Here are a few tips on making money online playing poker. The one thing about poker is that regardless of whether or not you’ve had any previous experience playing the sport, it’s relatively easy to learn and can be mastered to a sufficient extent to make a profit off, in as little as a year. It’s best to stick to a couple formats of the game. I personally just stick to sit and go games, small single table tournaments and heads up tournaments. The reason why it’s best to do this as there’s not that many players involved, which means you can turn them over very quickly, and be quite successful depending on what stakes you want to play. However, simply just going in and playing these formats of the game isn’t enough to get instant success. Obviously, there are fewer players involved and you’ve thus got a higher chance of winning, but you still need to know the fundamentals of poker to actually get anywhere. Things like starting hands, what hands to play in certain positions of the table, the importance of table positions, pre-flop and post-flop betting strategies, poker odds and hand outs are all very important and need to be figured out. You must also mathematically and statistically analyse what your chances are of getting a hand in specific situations and whether you should actually be putting a bet in. There are of course significantly growing numbers of new online poker players. It is therefore more important than ever to ensure that you continue to improve as a player and learn as much as time allows you to. Knowledge is power and the more you know, the better a player you will undoubtedly become. There are a number of great websites online that’ll help you learn how to better yourself at poker, with Ladbrokes for example offering an online poker school and a fantastic online guide to different variations of the sport. You should buy every book you can under the sun and get yourself unto any online course you can, if you want to make money playing poker online. Online Poker Rooms Have Much More to Offer Than You Think! If you’re looking for new online poker rooms, you’re in the right place. We’re huge fans of poker, which means that there’s always a chance to clean up, have a good time, and play some great poker. We work a good poker game into every single day of the week. That’s the best chance you have to get your skills sharpened and to make some extra money. Now, keep in mind that poker money isn’t guaranteed. You’re going to have to worry pretty hard to really make sure that all of your skills are being placed on the table, and that you’re going to the right poker room to begin with. Sometimes you might want to go head to head against real players instead of a bunch of newbies. Now then, we’re not picking on newbies — at least, that’s not really our intention. It’s better to be new sometimes. We get a lot of newbies that swear up and down that they’re going to be professional poker players. The truth is that you’re going to really have to sharpen your skills in order to become that good at poker. Online poker rooms are the way to go. Yet it’s true that online poker rooms have much more to offer than you might imagine. For starters, when people say online poker, chances are good that you’re only thinking about Texas Hold‘Em. However, the reality of the matter is that there’s a lot more at play here than just Texas Hold’Em. You’re going to have Razz poker, 7 Card Stud, Omaha Hi/lo Poker…the list goes on and on. There can be 15 different types of poker waiting for you when you log onto a poker room. It’s just going to depend on what type of events you’re interested in. While we’re on the subject of poker rooms, make sure that you’re thinking about going with a room that gives you a chance to access some tournaments. We’re not saying that you have to play tournaments all the time, but it might help you feel much more comfortable with your poker game. Some people really don’t outgrow playing in small tables, and this hurts their poker game. Don’t let that be you — you might be leaving a lot more money on the table than you think. While we’re on the subject of improving your poker game, try to play different variations of poker. That’s going to allow you to be a lot more flexible in terms of strategy. When you only play one variation…your strategy becomes lazy and tiring. Mix it up, and good luck!